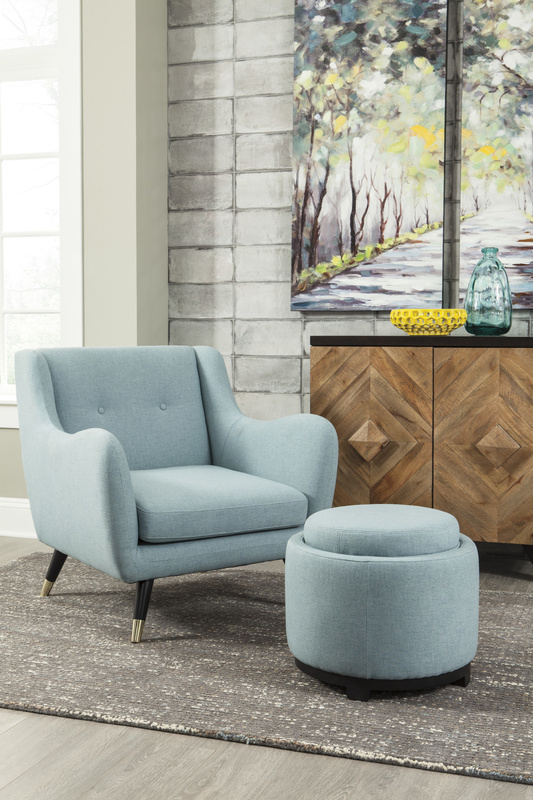 Swoop Arm Accent Chair. Upholstered in a Polyester Solid in Mist. Subtle Tufted Seat Back and Tight Box Seat Cushion with Spring Construction. Tapered Rubberwood Legs in Black Finish with Brass Finished Metal Tip.